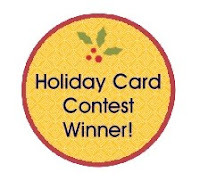 First of all, I'm thrilled to announce the winner of my Holiday card contest draw! My e-newsletter subscribers had a chance to win the "O Christmas Tree Stampin' Up! Bigz Xl Popup Die" from me, just for sending in a holiday card in October or November. The lucky winner was..... (drumroll, please).... Nicole S. of Scarborough, ON! Congratulations, Nicole -- I hope you make many a lovely tree with it. As for what's coming up in the studio this weekend, you won't want to miss our final Holiday 10 card class this Saturday. It's the last one in our series of 4, and I've been stamping up a storm to get them ready for you to make. Always Artichoke, Bravo Burgundy, Kraft & Naturals Ivory... loving that Scenic Season!